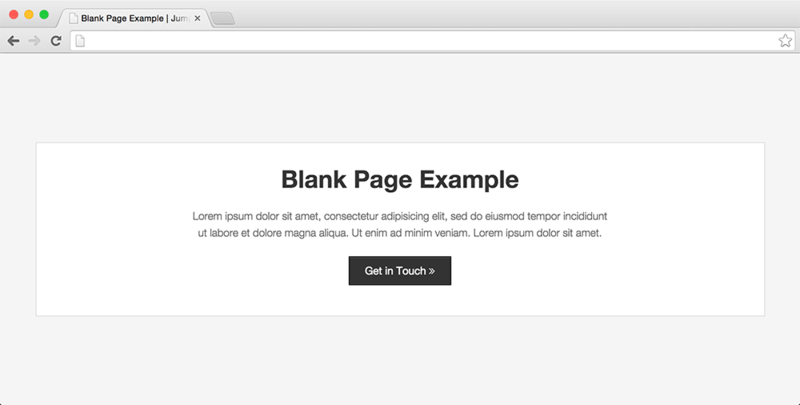 Using the blank page template is a quick way to setup a page, that simply displays your content area. Note: If you're just looking to hide the header or footer for a given page, you don't need to use the blank page template. You can also do this through the "Theme Layout" meta box when editing a page, for slightly different effect.